Interwetten is an online bookmaker first founded as telephone betting provider in Vienna in 1990. 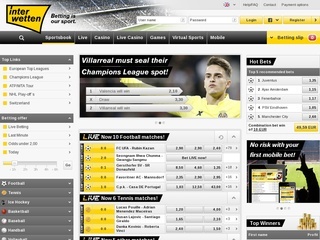 It offers to its users the chance to place bets on sports, casino and other games. The company was one of the first to offer the opportunity to bet online to its customers. All of this happened in early 1997. Interwetten has since retained its popularity and is still in top 50 of the best online betting sites on the internet. Nowadays the bookie is based in Malta and is visited by users from more than 200 countries. Because of the diversity of the clients the site has been translated into 11 languages. It is well-known that the company was one of the founding members of European Gaming & Betting Association. The online bookmaker has been licensed to offer to bet on the casino, sports, and other games. It has acted as a sponsor for countless clubs, events, and charities. Some of the most famous ones are: the sponsorship of the Formula 1 Team Lotus in 2012 and the Austrian Football First League from 2001 to 2004. In 2015, the site is still one of the most popular ones and tries to keep their users entertained with attractive bonus offers and free bets. The company is celebrating 25 years of its creation this year so you can be sure there will be a lot of offers you can take advantage from. As mentioned before the site has been licensed to offer wagers on the casino, sports, and online games. You can place your bets on sports such as Soccer, Tennis, Ice Hockey, Formula 1, Baseball, Golf, Rugby, Biathlon and many more. Wagers are also offered for famous events in politics (US president election for example) and the entertainment business. The casino and live casino options will keep you entertained while you wait for your sporting event to start. There you can find Poker, Roulette, Black Jack, Slots, Baccarat and Skill games. The interface of the site is very simple and easy to understand. You can place your bets with just a few clicks and keep track of the event while it happens. Virtual sports are also a part of the site which can give you the opportunity to bet on virtual soccer matches or tennis. You can always keep track of the number of bets you’ve placed on the Bettings slip, located on the right up corner of the page. Over 8000 bets are offered weekly on more than 45000 sporting events, so you can be sure you’ll never run out of wagers with this bookie. The site has a mobile version, so you can stay on track with the events even when you’re on the go. Because 65% of the site is mainly concentrated around soccer, you’ll find that there is a very rich selection of odds offered for this type of sport. You can place your bets at half-time or choose an Asian Handicap wager. Bet on goals, under or over, Double Chance, correct score, cards, corners, first goal, Goal scorer and many more. The site also has a TOP recommended bets section where you can find the hottest odds. You can place your bets on 1 of them or choose a combination bet on all suggestions. If your favorite sport is Tennis, you can bet before the game or bet live on a set or game winner. Odd formats are Decimal (Europe), United Kingdom, and American. The minimum stake per bet is 2 CHF, 2 GBP, 2 SGD, 1 USD, 1 CYP, 10 DKK, 1 EUR, 10 SEK, 10 NOK. Interwetten has made sure their customers are always satisfied and have implemented all the security measures of a modern online betting platform. The site uses an SSL encryption to make sure your personal data and funds information are always secure. Interwetten offers a very thorough Help and FAQ section in the site where you can find out how to setup your account and answers to frequently asked questions. Customer support is 24/7 where you can contact the company’s employees via email or telephone. You’ll get a quick answer to any question that concerns betting or using the interface of the platform. Every personal detail you share with the staff will not be shared publicly. As one of the largest multi-national bookmakers in the world Interwetten has made, sure their users can deposit sums in a wide variety of currencies.There are over 10 currencies supported for the site. Deposits can be made very easy using many banking methods. To withdraw money from your account, you use the same methods you’ve deposited the money. 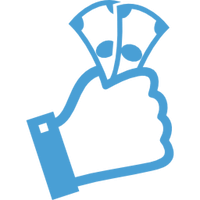 The sports betting platform has a very generous 100% bonus offer up to € 100 for new customers. 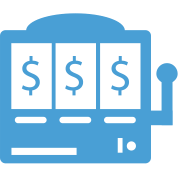 Markets the bonus can be activated to are: Casino, Sports Betting, Live Casino, Scratch Cards and Games. To activate the bonus, you’ll have to rollover the amount five times at minimum odds of 1.7. Deposit amount must be wagered twice before collecting the bonus. If you’re an active user every other week, you’ll receive an email with details about free bets and new bonus offers.